Hello Kitty isn’t a cat! She’s a British school kid! 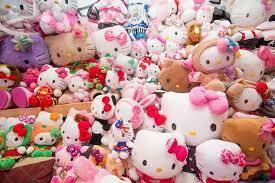 BREAKING NEWS: Hello Kitty isn’t a kitty at all! She’s human and she’s British! This is news so big that we had to have a little lie down when we heard it. She looks like a cat and has kitty in her name but her creators Sanrio have revealed that she’s actually a British school kid called Kitty White who lives just outside of London! “Hello Kitty is not a cat. She’s a cartoon character. She is a little girl. She is a friend. But she is not a cat. 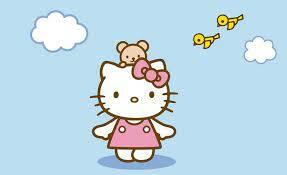 She’s never depicted on all fours,” Sanrio revealed. They’ve revealed loads more about Kitty to mark her 40th anniversary. She weighs about three apples and is about five apples tall (we tried measuring our height in fruit once and it didn’t go very well). Kitty also has a twin sister – who knew! That’s 40 years the makers have been keeping all this a massive secret!